The robin with its red breast and cheerful song is one of our best-loved garden birds. 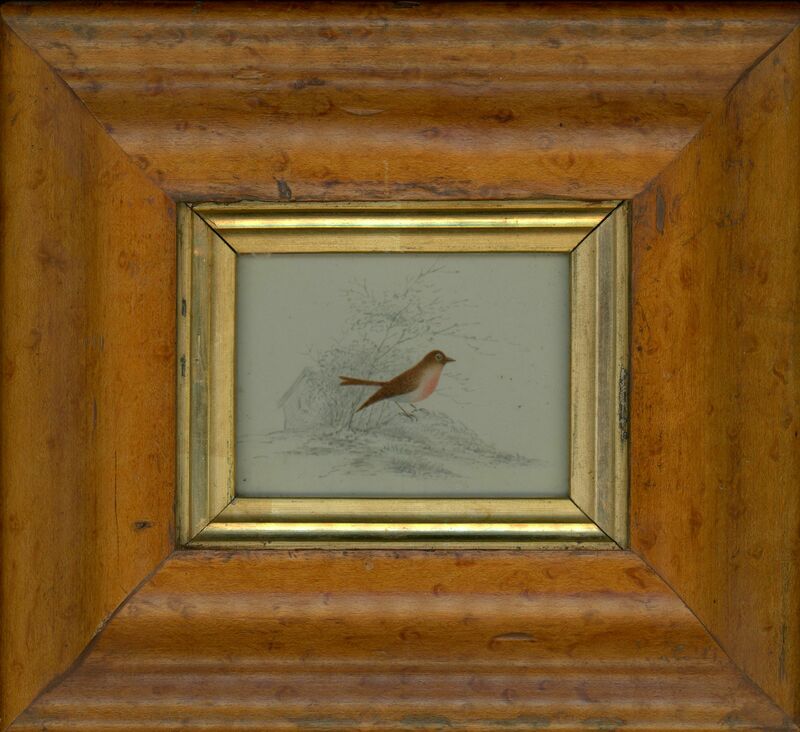 This miniature drawing depicts the robin in a landscape with a cottage in the background. 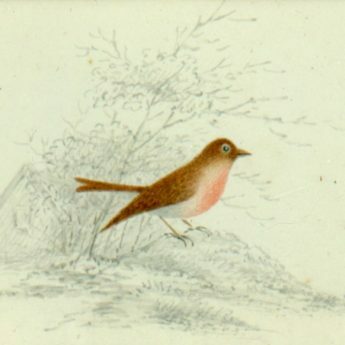 The robin is delicately painted in watercolour and set against a pencil background. 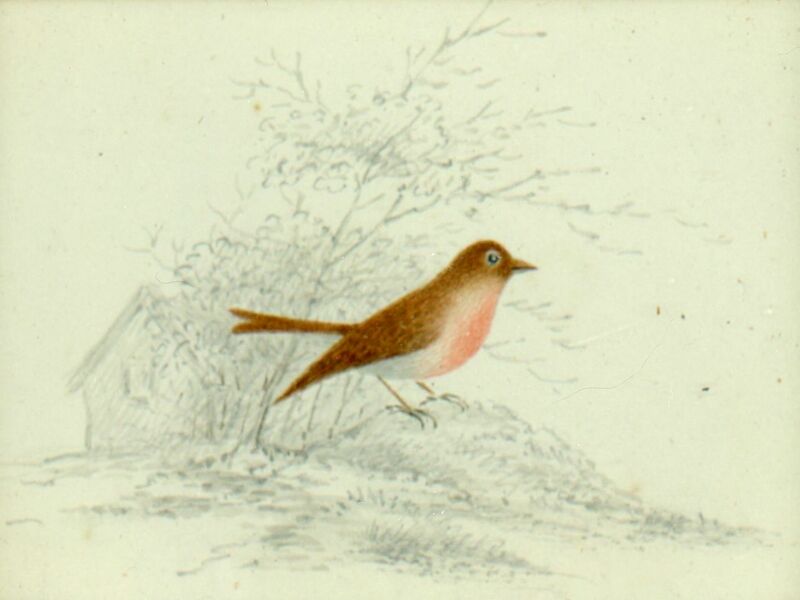 The drawing has been extracted from an accomplished young lady’s album of watercolors and drawings and so in fine and fresh condition. It is presented in a period bird’s eye maple veneer frame with a gilt slip.